At present, there is no doubt about the important contribution of education to processes of social and economic development. The positive effects include economic growth, civic participation, labour productivity, future opportunities, social justice, social cohesion or a healthier life. Despite this evidence, it is also true that there are no universal formulas for determining the best forms of educational provision, financing and regulation to achieve the expected positive effects. Educational visions and policies can differ substantially and context-based factors can alter significantly the outcomes of educational investments, programmes and policies and suggest that not all policies can travel from one place to another. Learning from different experiences and from the particular conditions that explain their success or failure becomes therefore a crucial task to construct operational knowledge useful for educational change and for ensuring the maximum benefits of educational intervention. Quality research can bring the necessary know-how for informing policy makers about what doesn’t work and what works in education and development, and under what conditions. However, the relationship between research and policymaking is not always easy. Research agendas and policy agendas do not always have enough points in common, and fluent communication mechanisms between scholars and practitioners to inform each other about their work, concerns, priorities and results are usually lacking. 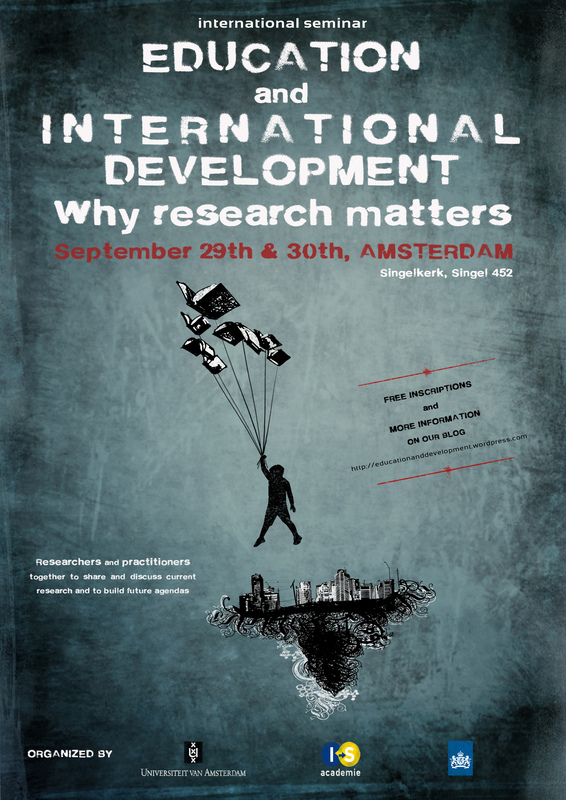 To address these and other problems, the ‘IS Academie’ Education and Development programme organizes the International Seminar Education and International Development: Why research matters, to be hosted by the University of Amsterdam. This event aims to bring together researchers and practitioners in the field of education and international development to share and discuss current and ongoing research insights, to exchange evidence coming from the field and to build future research agendas. Prominent scholars, policy-makers, civil society, and international organizations representatives from the North and the South will meet in Amsterdam to highlight pressing issues in the field (such as education and conflict, privatization, diversity in schools, the key role of teachers and changing politics of aid), reflect on the relevance of research for policy and practice, and debate the shifting priorities in official development aid to education.